Professor Michael Knorz talks about his experience with SmartSurf using the Schwind Amaris 1050RS Excimer Laser. SmartSurf or Trans PRK are used to correct nearsightedness up to -6 dpt with or without astigmatism. The procedure is especially suitable for patients with thin corneas when LASIK cannot be performed or is at its limit. 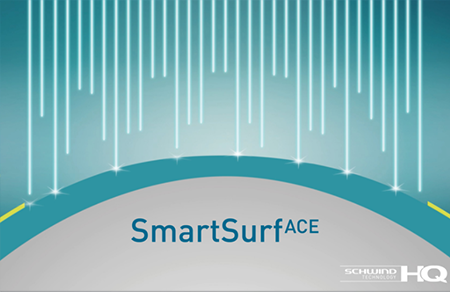 SmartSurf is an innovative surface ablation method that works without touching the eye. SmartSurf is an innovative surface ablation method that works without touching the eye. There is no blade, there is no flap: The vision is precisely corrected using just one laser system, the Schwind Amaris 1050RS Excimer Laser. The excimer laser literally vaporizes the corneal surface without causing any surrounding thermal injury. Thus, the excimer laser can precisely sculpt the corneal surface and change its contour (= photoablation). With SmartSurf, the excimer laser corrects the vision in a single step through the top layer of the cornea (epithelium) - gently and touch-free. The treatment is painless, and modelling the cornea itself takes less than a minute. A contact lens remains on the eye for three or four days. As soon as the epithelium is closed, the vision will be very good. After a short time vision is absolutely equal to that achieved with LASIK. 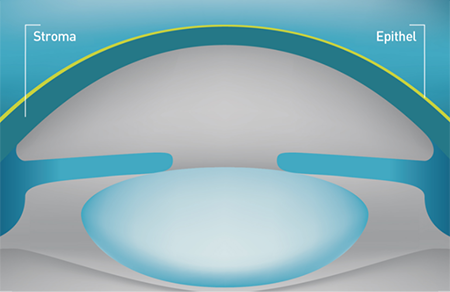 With SmartSurf, the treatment takes place directly on the surface of the cornea, providing more biomechanical preservation and corneal stability. This makes SmartSurf ideal for patients with thin corneas who may otherwise not be suitable for eye laser surgery. 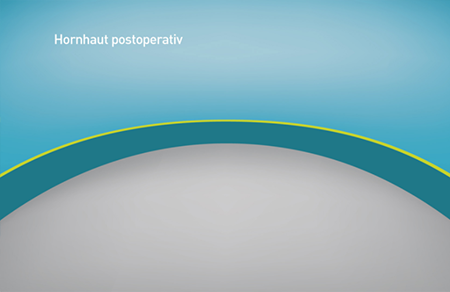 Two disadvantages of SmartSurf PRK in comparison to LASIK and Femto-LASIKA are (1) a slightly slower post-operative healing process and (2) a sometimes noticable postsurgical discomfort during the first days after surgery.